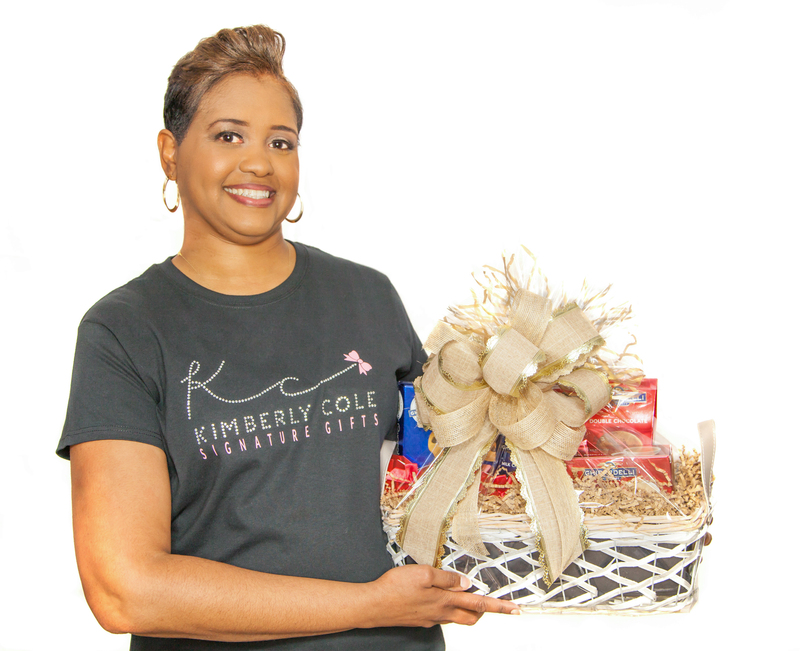 In February of 2002, Kimberly Cole, a dedicated business owner, innovator and entrepreneur launched Kimberly Cole Signature Gifts (previously Confetti Baskets) in answer to fulfill a need she saw in the area of gift marketing. The Valentine’s Day launch proved to be a resounding success and Kimberly Cole Signature Gifts was born. Kimberly Cole Signature Gifts serves as a marketing tool to help businesses establish, build and maintain dynamic relationships with prospects and clients. It is also a thoughtful way for businesses to commemorate and celebrate special occasions with staff and clients. Kimberly’s perennial creativity and commitment to excellence are the foundation to the success of Kimberly Cole Signature Gifts. She has created a unique marketing solution that makes a memorable impression on recipients and provides businesses a thoughtful way of making clients, prospects and staff feel special. Kimberly Cole Signature Gifts offers more than the standard gift baskets of food and treats that have become so common around holiday time. Kimberly Cole Signature Gifts are mindfully put together to be given for special and even not so special occasions. With over 25 years of experience developing a deep sense of business acumen Kimberly understands the world of marketing on a fundamental level. She has master’s degrees in the areas of project management and e-commerce management. She understands what businesses need to stand out from the crowd. Gift Marketing is one part of effective strategic marketing that can make a big difference in your bottom line. Along with other intentional strategies to nurture client relationships, gift marketing provides a solid, tangible method of taking client appreciation to the next level. The care with which Kimberly Cole Signature Gifts are created reflects your business’s level of attention to the client. The basket you choose, whether to spark the relationship or commemorate years of loyalty speaks of your commitment to excellence. With a Kimberly Cole Signature Gift, we make you look good!